For over 25 years clothingline has been running stock and sample sales. We are constantly in the market, seeking out everything from emerging designers to the hottest of labels. 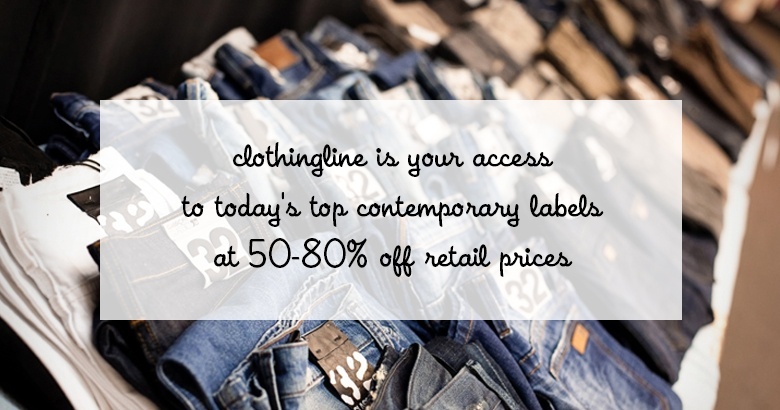 Not only is our goal to bring you the most up-to-date trends and contemporary labels in fashion, but to offer them to you at 50% - 80% off retail prices.